For the past 100 years, BMW has been producing some of the best automobiles in the world, and on the occasion of the brand’s 100th anniversary and the release of the BMW Individual 7 Series THE NEXT 100 YEARS limited edition, luxury maison Montblanc introduces the “Montblanc for BMW” Centennial Fountain Pen, a writing instrument designed to accompany each of the 100 vehicles. This limited edition writing instrument is the second collaboration between two (2) luxury brands who share a passion for ground-breaking technological innovation and elegant design. This latest offering follows the creation of a collection of customized leather goods and writing instruments to coincide with the launch of the BMW 7 Series in 2015. The centennial piston fountain pen is limited to just 100 pieces worldwide, and blends the iconic Montblanc Meisterstück 149 balanced proportions with design details inspired by the elegant and streamlined aesthetics of the new BMW car. 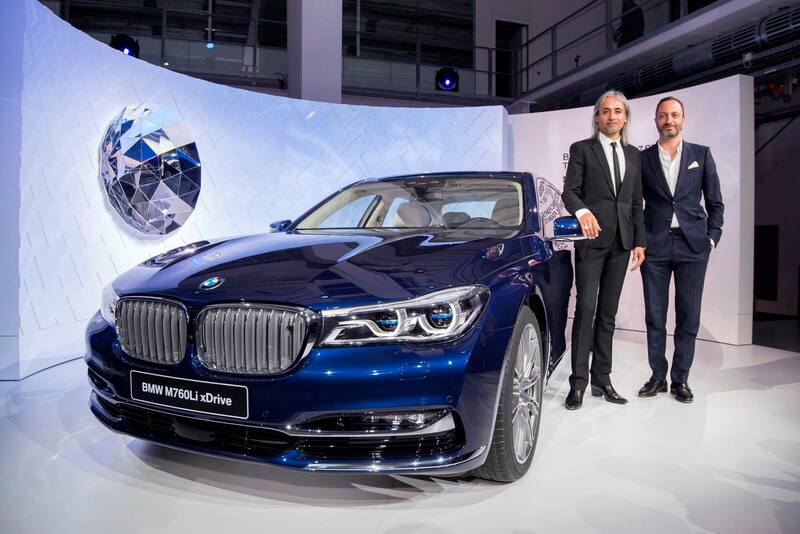 Zaim Kamal, Creative Director at Montblanc International, and Karim Habib, Head of BMW Design were inspired by the distinctive pattern used on the BMW Individual fine-grain Merino leather interior of the new car, and together they created the intricate grid of the skeletonized metal cap and barrel. Through the cut-out rhodium-plated grid pattern, the vibrant blue of the transparent precious resin mirrors the unique colour of the car lacquering. In reference to the BMW 7 Series, the Au750 rhodium-plated gold nib is engraved with the BMW “7” pattern. Completing the piece is the iconic Montblanc emblem is made of quartz set in black onyx. The limited edition writing instrument is accompanied by its own special leather accessory. The blue pen pouch in full-grain calfskin referring to the colour of the car lacquering features a compartment for the fountain pen. The leather is embossed with the skeleton pattern featured on the writing instrument’s design with a Montblanc emblem inside a palladium-plated ring. While BMW has been rethinking the rules of automotive design, Montblanc has been enhancing the writing experience through technological innovations and cutting-edge design, guided by its pioneering spirit since 1906. With this latest collaboration, Montblanc unites its passion for fine craftsmanship, perfect functionality and contemporary design with BMW’s forward-thinking approach to performance and breakthrough innovations. 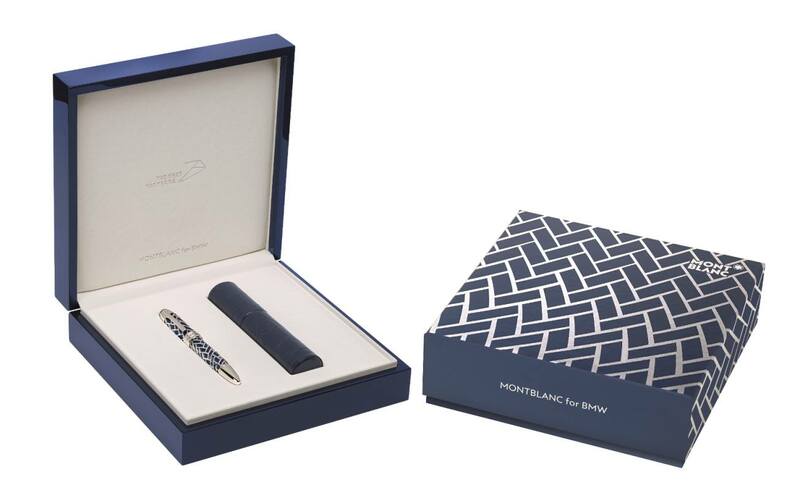 The “Montblanc for BMW” Centennial Fountain Pen accompanies the purchase of the new BMW Individual 7 Series THE NEXT 100 YEARS at BMW dealerships from September 2016. 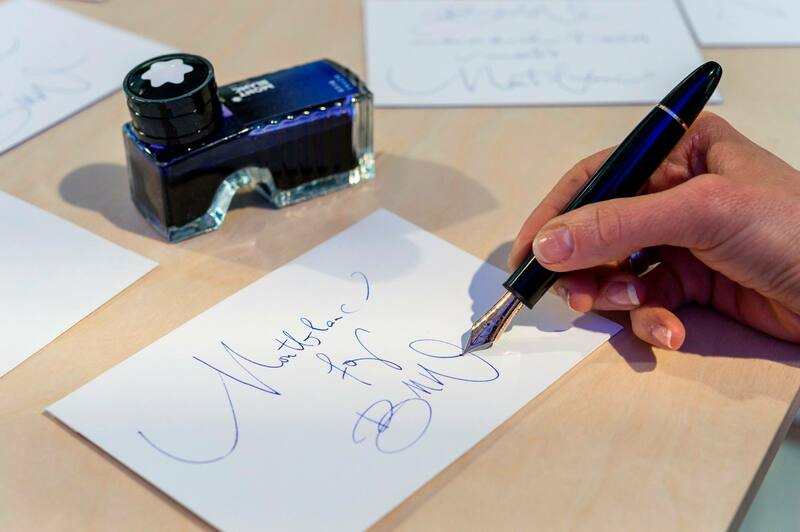 On 19 April 2016, Montblanc and BMW hosted an exclusive launch event at the BMW Group Classic in Munich for 160 guests to unveil the “Montblanc for BMW” Centennial Fountain Pen. 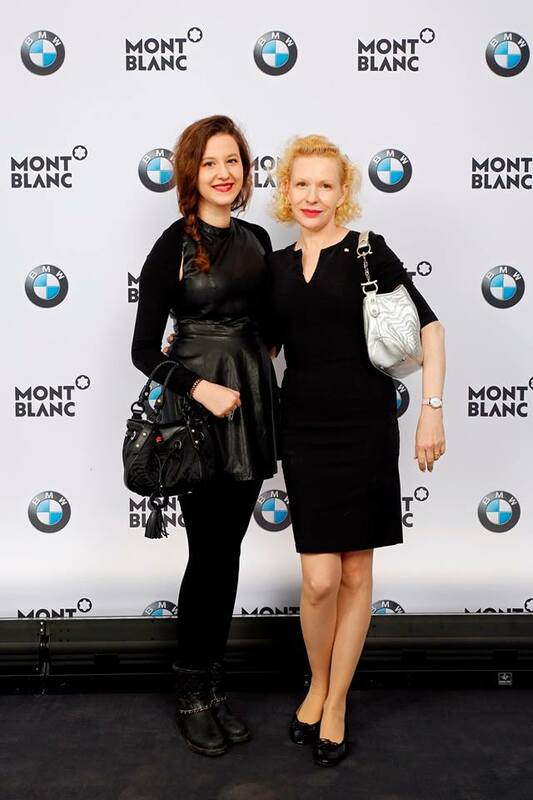 Guests at the very exclusive event included actor Heiner Lauterbach with wife Victoria Lauterbach as well as actress Sunnyi Melles and daughter Leonille Princess zu Sayn-Wittgenstein-Sayn. 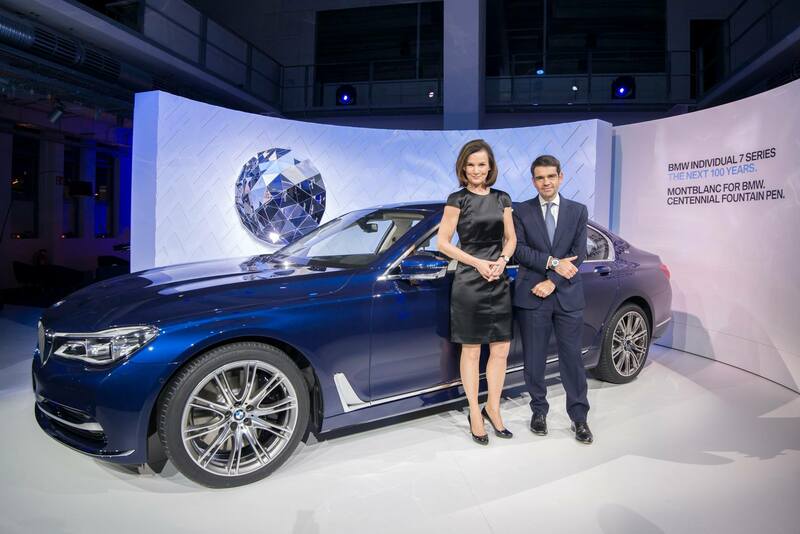 Montblanc and BMW presented the new car and limited writing instrument as guests got the opportunity to walk through the exhibition area and enjoy the Design-Talk between Montblanc Creative Director Zaim Kamal and Karim Habib, Head of BMW Design. Montblanc launched a collection of fine leather covers offering stylish protection in conjunction with the launch of the new Samsung Galaxy S7, a partnership with Samsung that combines high performance with classic elegance. 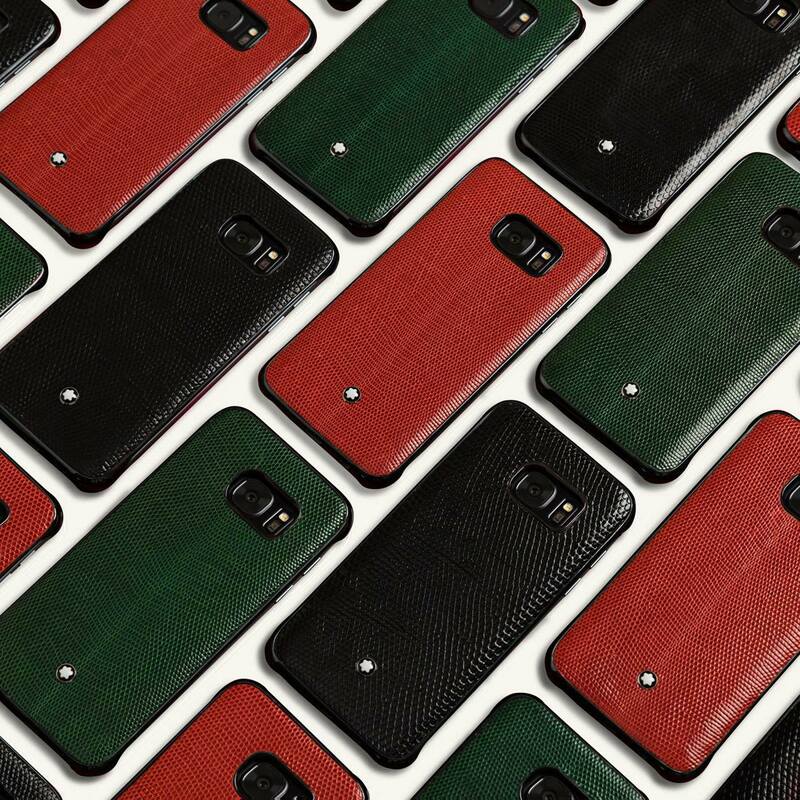 The covers are crafted from classic black soft grain leather with its naturally soft touch, and from sophisticated black Saffiano leather, and are suitable for both the Flat and the Edge devices in the Samsung Galaxy S7 lineup, adding a touch of luxury through leather manufacturing excellence to enhance Samsung’s cutting edge technology. The Montblanc covers are available in two versions: a click-on hard case that can be clipped to the back of the device, and a flip cover with business card slots on the inside of the flap. Montblanc also launched a luxury limited edition in genuine lizard in three colours: black, red and green. 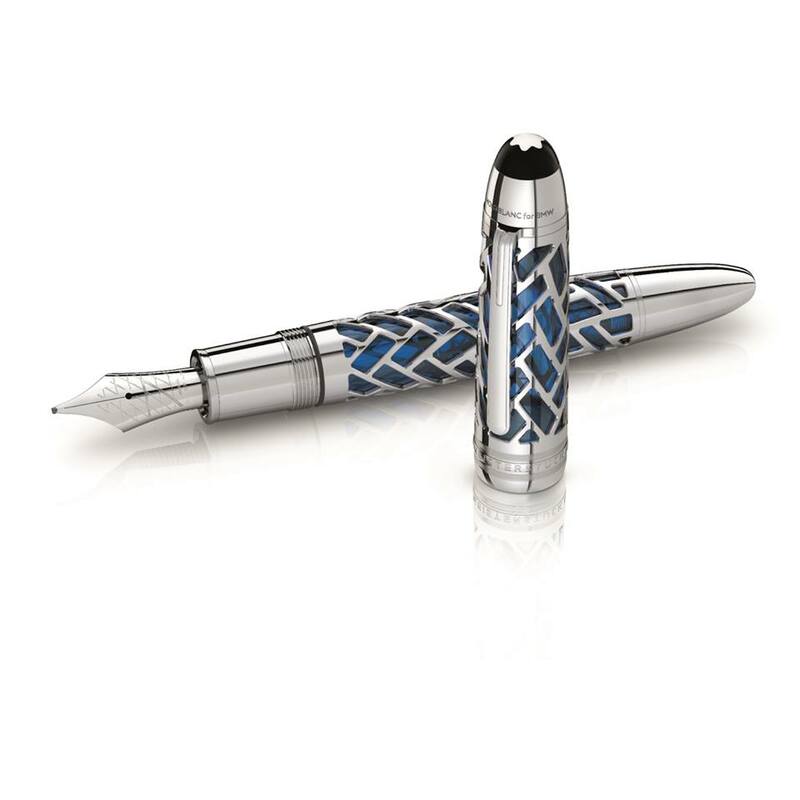 Each piece expresses Montblanc’s timeless elegance with intricate stitching and the Montblanc emblem. Montblanc boutiques in Malaysia are located at Pavilion Kuala Lumpur and Suria KLCC.